Featherbed Nature Reserve is a unique 150h private Nature Reserve, encompassing the whole of the Western Head of Knysna and one of South Africa's unique Natural Heritage Sites. 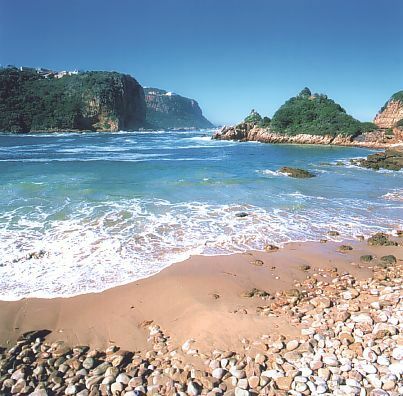 It is a pristine piece of paradise situated on the Western Cliffs of the Knysna Heads and is accessible by ferry only. This spectacular four-hour eco-experience includes a return ferry trip, nature drive and guided walk, ending with a sumptuous buffet lunch at the Food Forest Restaurant. 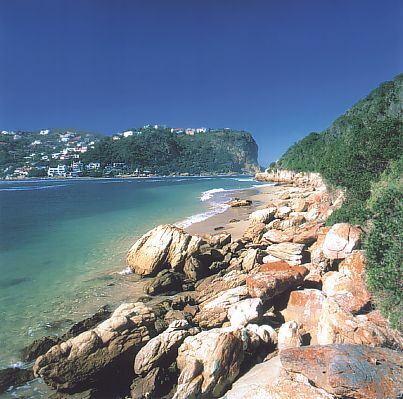 It is home to two of the Garden Route's icons, namely the Knysna Loerie and the Blue Duiker, one of Africa's smallest antelope species. Other wildlife found on the Reserve include Cape Mountain Tortoises, Blue Cranes (South Africa's national bird), rare Black African Oyster Catchers (listed in the endangered Red Data List), White breasted cormorant, Bushbuck and more! 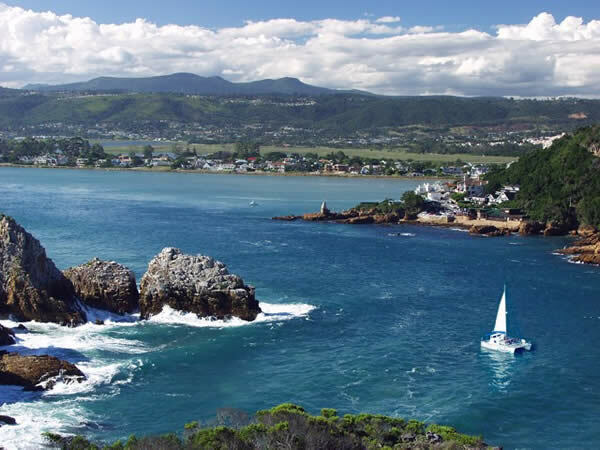 The 4-hour trip includes a 25-minute return ferry trip on the Knysna Lagoon to the Western Head and a 4 x 4 vehicle / trailer drive up the headland onto the Reserve, stopping at a magnificent viewpoint. Specialist guides will be giving information on the rich history of the area, and the diverse fauna & flora that is found here. Where else could you have lunch on the edge of the Lagoon under a canopy of Milkwood Trees with the elusive, majestic and brightly coloured Knysna Loeries? Take an optional 2.2 kilometre guided walk, passing through Milkwood forests onto the steep sandstone cliffs, into ancient Khoi Khoi sea caves and along a scenic coastal path fringed with aromatic fynbos. Due to the tremendous popularity of this premier eco-experience in the Garden Route, we follow a regular daily schedule to cater for all our visitors. However, as a prime example of eco-tourism, numbers of visitors are limited to protect the splendour of the natural beauty, and visits are only permitted in the company of the Reserve's specialist guides. 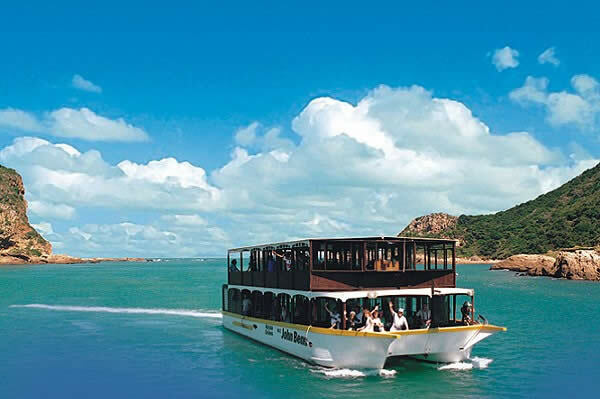 Excursion departs daily and reservations are essential. Good walking shoes are recommended and remember to bring a camera, with plenty of film, hats in summer and a warm jacket for the ferry trip. We guarantee a fabulous experience for all. For more information, please visit the Featherbed Website.